This AAA guide to winter weather driving is full of driving tips and other information to keep you safe on the roads this season. If you live in the Northeast, it’s inevitable: You’ll have to drive in cold and slippery conditions. Whether you’re someone who embraces winter travel or climbs behind the wheel as a last resort, winter driving requires special precautions. Research from the AAA Foundation for Traffic Safety found that about 46 percent of crashes involving bad weather take place in the winter. As motorists’ most trusted advocate, AAA is here to help keep you and your vehicle safe this winter. Check this guide throughout the season for winter driving tips. Before hitting the road, you’ll want to make sure your vehicle is up for the challenge ahead. No summary of winter driving tips would be complete without mentioning the importance of having a certified repair technician perform a through inspection of your vehicle. Find a AAA Approved Auto Repair shop near you. You should ask for checks covering each of the following areas. Have the battery and charging system tested by a trained technician, especially if your vehicle’s battery is more than 3 years old. 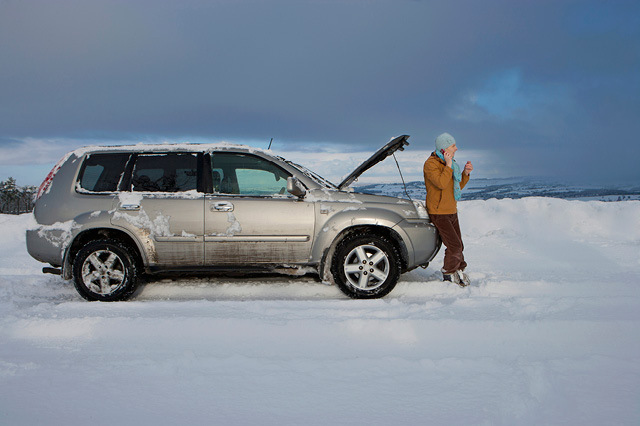 Your vehicle will need a fully charged battery to start up during a cold snap. AAA members can request a visit from a AAA roadside technician to test vehicle batteries on-site, and install replacements if necessary. Members can also visit AAA Approved Auto Repair facilities for battery tests and replacements. Whether you check or a roadside technician does it for you, be sure that all battery posts are cleared of corrosion and all cable connections are tight. “Many battery problems can be eliminated by cleaning the corrosion from the battery terminals,” Paul said. Have your vehicle’s brake system inspected by a certified technician as recommended by your car’s manufacturer. You can typically find these recommendations in your owner’s manual. A brake inspection is needed if your dashboard brake light is illuminated or you notice pulsing, a steering pull, grinding sounds or other unusual noise when braking. Check the coolant level in the overflow tank when the engine is cold. If the level is low, add a 50/50 solution of coolant and water to maintain the necessary antifreeze capability. “A 50/50 mix of antifreeze and water will protect your car’s engine to minus 34 degrees,” Paul said. You can test the antifreeze protection level with an inexpensive tester available at any auto parts store. Check cooling system hoses for leaks, cracks and loose clamps, too. Any hoses that feel brittle or spongy when squeezed should probably be replaced. Review your owner’s manual to see if your air filter needs to be replaced. Another way to check is to hold it up to a bright light. If light can be seen through much of the filter, it’s still clean enough to work effectively. If the light is blocked, replace it. Some filters are made of opaque materials that don’t pass light. Replace these filters per automaker recommendations. Don’t let a lingering check engine light go undiagnosed, and have a certified repair technician investigate any issues such as hard starting or stalling. Inspect accessory drive belts for cracks or fraying, but stay mindful of newer serpentine belts, which don’t show obvious signs of wear but should be replaced every 60,000 miles or as recommended by the vehicle manufacturer. Your vehicle’s exhaust system is important. It carries away carbon monoxide and other harmful gases produced by your vehicle’s engine. Carbon monoxide is odorless and deadly. Have a certified repair technician check your exhaust system for leaks in order to minimize the chances of carbon monoxide poisoning. If your car is stuck in the snow and you have the engine running, open a window and clear snow away from the exhaust pipe. Damaged ignition wires, a cracked distributor cap or worn spark plugs can make starting difficult or cause a sudden vehicle breakdown. Protect your wallet and avoid a headache by getting in front of potential trouble. Have your vehicle’s ignition system inspected by a certified repair technician. Check the operation of all headlights, taillights, brake lights, turn signals, emergency flashers and backup lights. Replace any burnt out bulbs. Dirt and grime on headlight lenses can significantly reduce their effectiveness, and you’ll want your lights working properly to offset diminished visibility caused by winter storms. “Cloudy headlight lenses can be polished back to like new condition with specialized kits,” Paul said. This is a year-round recommendation, but certainly worth taking care with the rest of your winter prep. Always have your oil changed per manufacturer recommendations. You should have your vehicle’s transmission fluid level checked at the same time. “Synthetic oil is a benefit in every vehicle and will allow for quicker starts in very cold weather,” Paul said. In areas with heavy winter weather, installing winter tires on all four wheels will provide the best traction. All-season tires work well in light-to-moderate snow conditions provided they have adequate tread depth. Examine tires for tread depth, uneven wearing and cupping. Uneven tire wear can indicate alignment, wheel balance or suspension problems that must be addressed to prevent further tire damage. Tires with less than 4/32 inches of tread will have reduced traction in wet and snowy conditions. Measure tread depth with a quarter rather than a penny. When the top of Washington’s head is exposed, the tread depth is 4/32 inches or less and it’s time to get new tires. 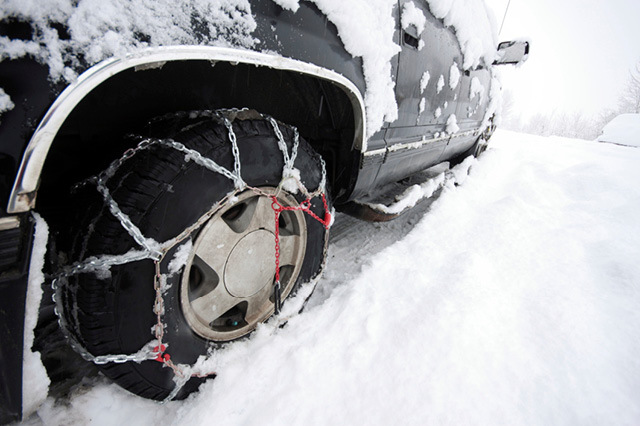 In extreme climates, a set of winter snow tires or chains may be a wise investment. Check tire pressure once a month before driving, when tires are cold. As the average temperature drops, so will tire pressures – typically by 1 pound per square inch for every 10 degrees Fahrenheit. Proper tire pressure levels can be found in the owner’s manual or on a sticker typically located on the driver’s doorjamb. The number molded into the tire sidewall is not recommended for normal operating condition. This specification is for a tire that is carrying its maximum rated payload. “Cold weather can turn on tire pressure monitoring lights. Don’t ignore the light have the tire pressure checked and corrected as necessary,” Paul said. Fill the windshield washer fluid reservoir with a winter cleaning solution that has antifreeze components. Wiper blades should completely clear the glass with each swipe. Replace any blade that leaves streaks or misses spots. Consider installing wiper blades that have a one-piece plastic beam frame or winter blades that wrap the metal frame in a rubber boot. Both designs help prevent snow and ice buildup that can interfere with blade-to-glass contact. Prepping your vehicle for a winter drive is great, but you shouldn’t overlook prepping yourself. AAA’s “How to Go on Ice and Snow” is loaded with great winter driving tips. The guide advises drivers to choose warm, comfortable clothing. Heavy garments and thick gloves are great outside, but aren’t ideal for driving. A zip-fastened, lined jacket and a pair of thin leather gloves are good bets for winter driving. They’re warm, allow movement and are good inside and outside your vehicle. As you would before any drive, adjust your seat so that you are no closer than 10 inches to the steering wheel and you can clearly see the road. Check your mirrors, adjust if necessary, and adjust your safety belt so it sits low across your hips and across the center of your chest. One more tip – sunglasses are always good to have, especially to combat strong snow glare. Your vehicle is set and your seat, seat belts and mirrors are in the correct positions. 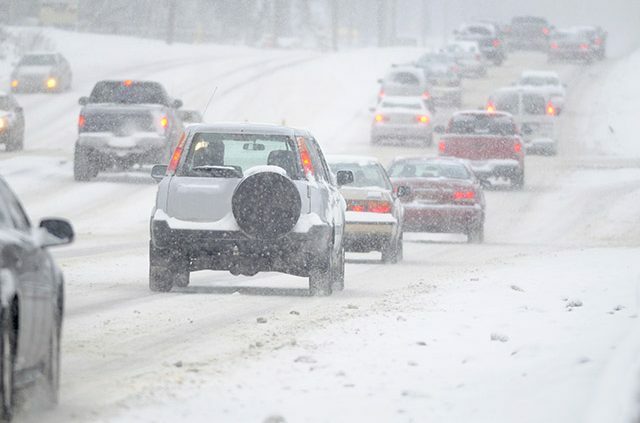 Barbara Ward, a traffic safety specialist with AAA Northeast, has several winter driving tips. For starters, don’t warm up your car in an enclosed space. Dangerous fumes can turn lethal in a hurry. You also shouldn’t drive if you’re fatigued. That’s a bad idea any time, especially when inclement weather calls for drivers to be alert. Keep your vehicle’s gas tank at least half full to avoid potential gas station lines, or a frozen gas line, Ward said, and don’t worry about extensive engine warm ups. They might make the cabin nice and toasty, but they’re aren’t necessary, even on the coldest mornings. “Once the car is running, you’ve dialed up your favorite radio station and your seat belt is fastened, drive reasonably until the engine comes up to operating temperature. 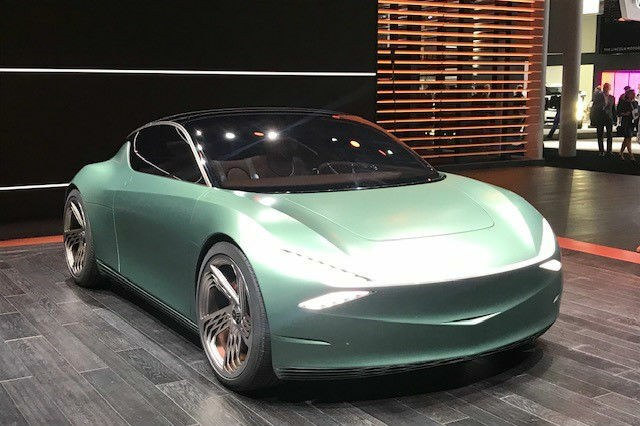 It’s a more fuel-efficient approach,” Paul said. Don’t pull away without clearing all snow from your car. That includes the roof, taillights, headlights and side mirrors. Don’t let speed limits dictate how fast you travel. They’re set for ideal road and weather conditions, Ward said, not slippery pavement. Along those lines, leave additional following distance. “While a good following distance on dry roads is three to four seconds behind the car in front of you, six to 10 seconds is good distance on ice and snow,” Ward said. Even if you have all-wheel- or four-wheel-drive, she added, it will still take you just as long to stop as vehicles with rear- or front-wheel-drive. The advantage of all-wheel- and four-wheel-drive is that it’s easier to get moving on snowy road. Moderate is the word to have in mind when accelerating, steering and braking, Ward continued, and if you find yourself in a skid, look and steer where you want to go. Avoid slamming on the brakes. That won’t help anything. Avoid using your parking brake in cold, rainy or snowy weather. It can get frozen and may not disengage. If you’re traveling across a bridge at the start of a storm, keep in mind that surface will likely freeze before typical roads. Watch the traffic ahead of you. Slow down immediately – but again, moderately – at the sight of brake lights, skidding vehicles or emergency lights. Intersections can be especially as ice thaws from the heat of idling vehicles. “Water on top of ice is a very dangerous situation,” Paul said. Lay off the cruise control. Summer will be here soon enough. Avoid unnecessary lane changes. Changing lanes increases your chances of hitting ice between lanes, which could cause a loss of traction and, potentially, a crash. Don’t power up snow-covered hills. It’s not easy for a vehicle to climb an icy road. If you’re stuck and you hit the gas, you may just spin your tires. If you must climb such an incline, try to get a little momentum going and let that carry you up. When you come to the crest, slow down and proceed cautiously, and slowly, downhill. If you have anti-lock brakes, you can press hard on the pedal. It might vibrate a bit, but that’s normal. Vehicles with anti-lock brake systems allow drivers to brake and steer at the same time, possibly in avoidance of a collision. Do not send or read text messages, or engage in other distracting behavior. That’s a critically important piece of advice for winter, or summer, or really any day of any year ever. Even if your vehicle is ready for winter and you follow all of the winter driving tips spelled out here, there is a chance you could be stuck with your vehicle for an extended period of time. Here are a few other tips to remember during such an emergency. Stay with your vehicle. It provides shelter, and makes it easy for emergency responders to find you. Don’t try to walk anywhere, especially in a storm. You could lose track of your vehicle, and if you lost control of your vehicle in a certain area, other vehicles might do the same. Don’t push yourself too hard trying to get your vehicle out of the snow. Let one of AAA’s roadside technicians help. They do it all the time. Let others know you’re in distress by trying a bright cloth to your vehicle’s antenna or placing a cloth at the top of a rolled up window. You can leave your dome lights on at night, too, another reason you’ll want to have had your battery checked. Check to see if your exhaust pipe is clogged. If it is, do not run your engine. Doing so could lead to deadly carbon monoxide flooding the cabin. If you’ve brought winter clothes, great. If not, don’t be afraid to use floor mats or other items in your car for warmth. If your exhaust pipe is clear, you can run the engine and heater for warmth, but stay mindful of conserving fuel. 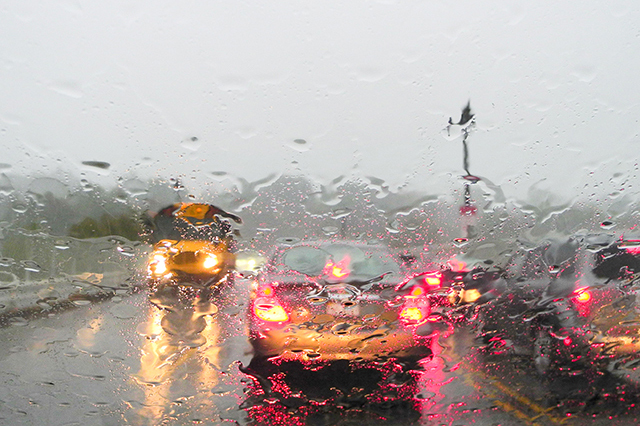 If you’re embarking on a long-distance trip, check out weather reports or weather apps before you leave. Delay trips when especially bad weather is expected. If you must leave, let others know your route, destination and estimated time of arrival. If you’re looking for advice on what makes a good winter ride, Paul and Robert Sinclair Jr., media relations manager for AAA Northeast, are good people to talk to. They’re both expert test drivers who have first-hand knowledge of how various vehicles stack up with northeast weather, and they both believe winter performance starts from the ground up. Winter tires, a.k.a., snow tires, will improve any vehicle’s ability to tackle inclement weather versus all-weather tires. “Extra traction thanks to aggressive tread patterns and rubber compounds treated with chemicals keep them pliable at low temperatures,” Sinclair said. All-wheel and four-wheel-drive are helpful, too, especially when vehicles with these features also have higher ground clearance. An all-wheel-drive Subaru, for example, is good on snow but you’re more likely to get through deep snow with a larger pickup truck. As for vehicle weight, driving dynamics is more important to vehicle’s winter driving prowess than it’s mass. As good as an all-wheel-drive or four-wheel-drive vehicle can be in winter, Paul added, the system doesn’t change basic physics – driving too fast for winter conditions will surely result in a poor outcome on the road. What if I don’t want my car out in the snow? Even the best winter driving tips aren’t enough to convince some drivers to take their prized vehicles out in the snow. Many store their cars in fall, before the worst weather sets in. Whether you’ve done so already or plan to do so next year, here is a checklist compiled by Paul and Roberto Cruz, AAA Northeast staff writer, to know you’re doing it the right way. Top off all the fluids, fill up the fuel tank and add stabilizer to the gasoline, like you would a lawnmower. Cars consistently draw electricity, so either disconnect the battery or use a float charger, which helps it maintain its charge. 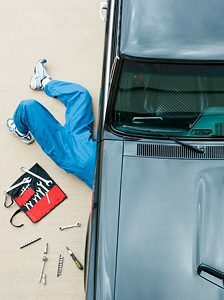 Properly inflate the tires and grease all the latches, locks and hinges, which can stick when a car sits awhile. If you have to keep a car outside, keep it off grass or dirt, which can transfer moisture to the car and cause rust. Pick a car cover that breathes and resist the urge to fire up the engine once a week during the winter, because that can actually cause damage, Paul said. For motorcycles, top off fluids and add fuel stabilizer, just like a car. Inflate the tires and make sure the treads are still good. Motorcycle batteries are small, so after you disconnect yours, consider bringing it inside, out of the cold, Paul said. Lubricate all the moving parts, including the chain (if yours has one) and lubricate the brake and throttle cables, too. When prepping a bicycle for storage, give it a good rinse and lubricate the chain and cables, said AAA bike safety expert Rhonda Shah. These steps protect against corrosion, plus it’s a chance to inspect the condition of the frame, wheels and other important safety components. If you have hooks, hang your bike from a wall or the ceiling, Shah said. Avoid parking it on a concrete floor, which can draw moisture out of rubber tires and cause dry rot. If you have to, put rugs or rubber mats under the wheels. Again, make sure the tires are properly inflated. A bike that rests on underinflated tires could suffer bent rims – and you don’t want repairs to slow you down when spring finally comes around again. Should I be using different gasoline in the winter versus the summer? Believe it or not, you probably already are. Gasoline blends change with the seasons. The difference involves fuel’s Reid vapor pressure, a measure of how easily fuel evaporates at a given temperature. The more volatile a gasoline, the higher its pressure and the easier it evaporates. Winter-blend fuel has higher pressure because the fuel must be able to evaporate at low temperatures for the engine to operate properly, especially when the engine is cold. If the pressure is too low on a frigid day, the vehicle will be hard to start and once started, will run rough. Summer-blend gasoline has lower pressure. This prevents excessive evaporation when outside temperatures rise. Reducing the volatility of summer gas decreases emissions that can contribute to unhealthy ozone and smog levels. 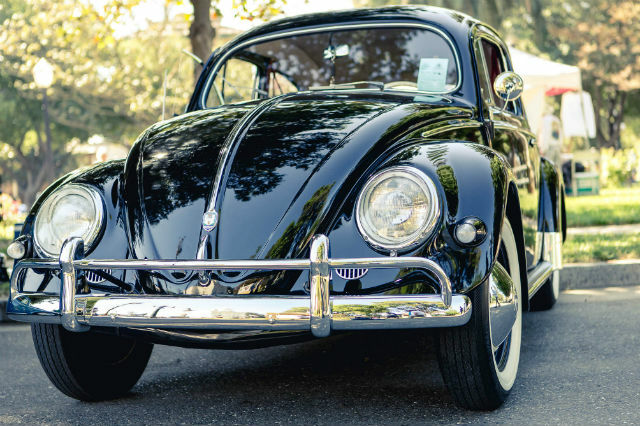 Lower pressure also helps prevent drivability problems such as vapor lock on hot days, especially in older vehicles. The Environmental Protection Agency says conventional summer-blend gasoline contains 1.7 percent more energy than winter-blend gas, which is one reason why gas mileage is slightly better in the summer. The summer-blend, however, is also more expensive to produce, which is why gas prices tend to spike a bit at the start of the summer driving season. The switch between the two fuels happens twice a year, once in the fall, to winter-blend, and again in the spring, to summer-blend. Learn more about AAA’s automotive services. This post was originally uploaded in 2017 and has been updated. Article tags: a car, AAA, AAA Approved Auto Repair, AAA Foundation, AAA Northeast, aaa roadside, apps, battery, best cars, bicycle, bike, car, check engine, child safety, emergency road, engine light, food, gas, gas prices, headlights, Massachusetts, medication, roadside, safety, the cruise, tire, tires, traffic safety, travel, trip, truck, vehicle breakdown, winter, winter tires. Good info. It would be nice if this could be set up as a down load that could be forwarded to a new driver in the family who lacks experience and doesn’t have AAA.